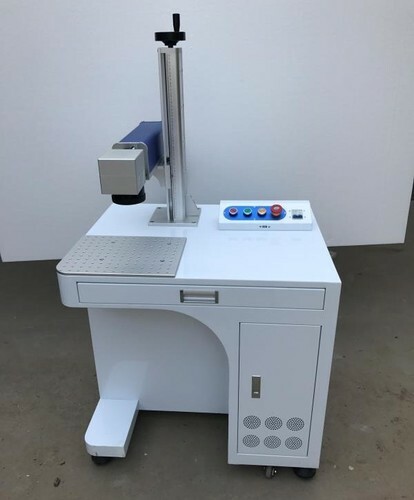 Backed by vast industrial experience, Star Laser Technology established in the year 2012, we have been recognized as a prominent firm, which is involved in manufacturing, supplying and Trading a technologically advanced range of Laser Cutter & Machines. Our range encompasses Diode Laser Marker, Laser Marker and Laser Cutter. These are developed by experienced professionals, who employ advanced technologies and latest machines in the manufacturing process. Moreover, the products offered by us are widely applauded by the clients for their accuracy, fast speed, excellent performance and low noise. We are greatly supported by sound sophisticated infrastructure, which is installed with advanced machinery. This facility helps us in meeting different requirements of the markets owing to the bulk production. Moreover, we have hired highly experienced skilled professionals, who assist us in all stages of our business operations. Furthermore, to enhance the satisfaction level of the customers, we also provide after sales services for machines. These products are manufactured at our base in accordance with the set industry norms & standards.